The Royal Society has recently published a review of UK Computing Education as a milestone since the introduction of a new curriculum three years ago. the Society wanted to see how the new curriculum has impacted in schools from KS1 to KS5. 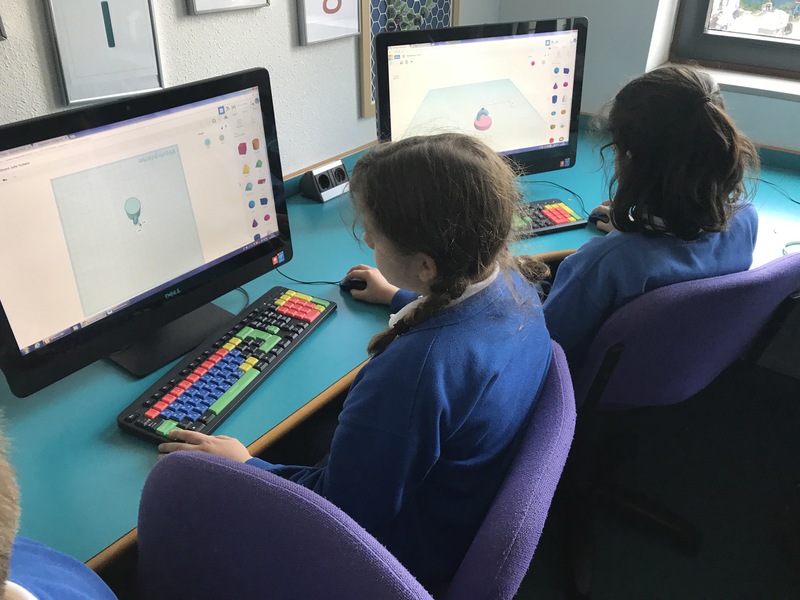 The change to the curriculum involves a shift from the previous strategy which focused a great deal on presenting information and data to a curriculum that brings the emphasis onto coding. I was interested in this review because, as a leader of Technology use for more than 25 years, I’ve seen a number of shifts in emphasis and have been involved in using the new strategy since it began. The report raises concerns that, while the shift is a good strategy, the investment and confidence in schools has not been adequate to ensure the new curriculum is working well yet. It recognizes that to introduce a brand new curriculum in this way is significant but that if it is done with little mainstream support and infrastructure then it may leave teachers under prepared. There are a number of voluntary organisations and tools that have been positive including CAS (Computing At School) and Barefoot Computing being two good examples but the support in school has varied. As part of the report the teacher surveys did not give much reassurance about the way teachers are feeling. 32% of primary teachers feel more confident teaching the earlier stages of the curriculum than the latter. confident teaching the earlier stages of the curriculum than the latter. Despite efforts to obtain an unbiased view, due to the self-selecting nature of a survey, a significant number of the responses were from teachers who hold a degree-level qualification in a STEM subject or ICT (62%). Respondents were also broken down into those that had undertaken computing-related CPD in 2015 – 2016 with Computing At School, which made up 17% of those respondents (see Box 7). Other data sources suggest that a lower proportion of computing teachers have a related qualification. We therefore caution the reader that our survey data is unavoidably vulnerable to selection bias, and may represent an overoptimistic view of the true situation. government/statistics/school-workforce-in-england-november-2016 (accessed 22 September 2017). So its not a great reflection of the primary teacher that has responsibility for this alongside all the other curriculum areas they teach. In that instance, this, more competent group only has a third who are confident with the early stages of the new curriculum. As part of the survey we asked teachers to rate their confidence at each stage of the curriculum on a 10-point scale, with 1 being the least confident and 10 being the most confident. 48% of the surveyed teachers gave a score below 7 and were asked to provide explanations for the low confidence scores. A common response from these teachers was that they were lacking sufficient theoretical and technical knowledge of computing that included aspects of programming and coding. with the later stages where the subject can have a greater focus on computer science. specific aspects of computing education. Pye Tait. 2017. 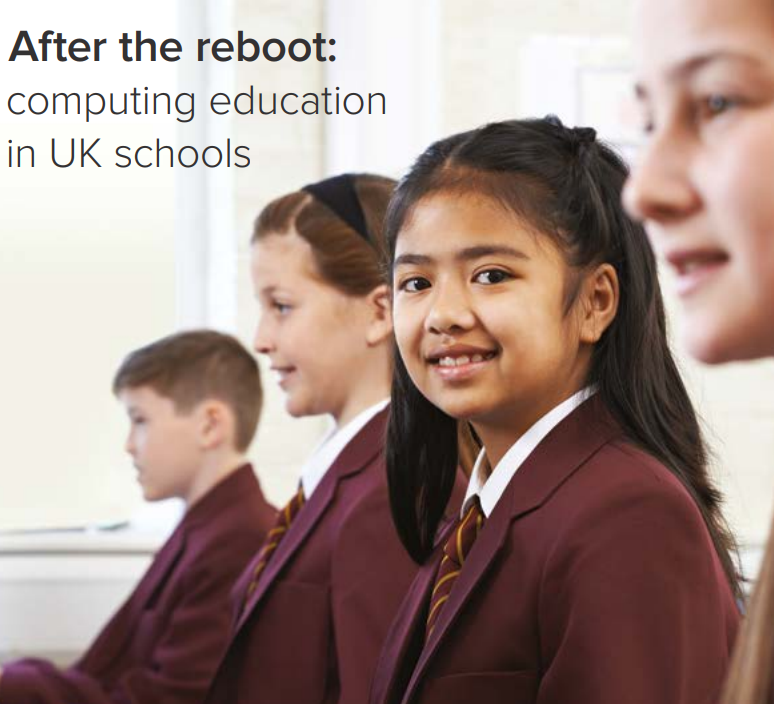 After the Reboot: The State of Computing Education in UK Schools and Colleges. pp34–35. teachers feel more secure in areas that were part of the ICT syllabus and the new elements are more challenging. I know what that feels like. I also work with colleagues that echo that feeling. I am also conscious that teachers often have to work with what they already know. If our own education includes something then we have a point of reference. However computing education in my own experience and that of many colleagues of various ages is more frequently absent than present. How can we raise those confidence scores above 7? The report gives a number of recommendations that I will come to in a later post. The other area that I was interested in was related to Gender. The news at the moment has many gender awareness topics from the ‘pink girls clothing debate’ to ‘pay-gaps’ and ‘harassment’. But the disparity in tech doesn’t get as much attention. Too few girls are taking Computing as a subject amidst declining overall totals. As a primary specialist, I am convinced this could be tackled by nurturing gender neutral attitudes to tech skill as early as possible. A recent BBC TV series on gender behaviour (No more boys and girls) have indicated that the apparent tendency for boys to be better at football and construction is something related to exposure rather than competence. So if girls do these things they can easily become expert. I know the same is true about technology. Yet at a recent parents evening where up to 100 parents could choose to come and see me, of the 16 appointments I had, only three were with parents of girls. A little over 10%. Whilst generalising, male parents more commonly thrived in a tech conversation while, more commonly, female parents use caveat language like ‘I’m not really good at technology’. It was not a scientific study but it stood out to me. I am also very aware that in our computing lessons there are strong male and female students in KS2. There is a good balance at the top. Te report indicates that this isn’t reflected in the GCSE sign up or selection choice. Even though technology and computing provision in my own school is good at primary level, older female students are not signing up in large numbers either. I’ve signed up for a Future Learn course this week. It’s called teaching computing. The two teachers who we have seen in the course so far sharing their teaching are men. Yet in many primary schools male teachers are in the minority. The Post Grad I am doing now has 8 students but it’s 75% female. As you can see the messages about gender are very mixed indeed. I’m grateful to be teaching in a school that is constantly nudging me forward. There are so many exciting changes on the British School in the Netherland’s horizon. Matt Bennett’s blog looks at our most recent shift with technology (https://mattbennettsite.wordpress.com), electronic reporting should come to fruition soon enough and we all seem to be making the most of the Twittersphere. The thing that I’m most excited about is the new teaching space that we will have at our school’s hub: BSN Connect. You can read about that development at www.Kieranearley.co.uk . It will seek to unite our multi-campus school and challenge us to use space in new ways. The end of the school year always brings time for reflecting. Trying to recognize all the things we’ve achieved. Good and bad, hard and easy, People and tasks, sad and joyous, highs and lows….. This year has been another of change for me. I’ve worked in two places for the best part of it. I’m regularly asked what that’s like. I often wonder what people will want my reaction to be. In both places I’m overwhelmed by the same thing. Dedicated teachers and staff working tirelessly to bring a positive learning experience to those in their charge. I’m a tech advocate but I lean heavily towards experiences over things and one of those key threads stands out. Let me say that again. Tech brings people together. So often maligned for the fake lifestyles of social media while people phone obsess instead of conversing. Where people text instead of looking at each other. Where people selfie instead of seeing the view. This year I’ve seen high school colleagues share their experiences with learners. I’ve taken their wisdom and shared it myself. Then I’ve seen others take it from me and give it a go. You know they say imitation is the sincerest form of flattery, well I can safely say that seeing someone try a technique or a tool in their teaching is an empowering thing. Two hundred year six students collaborating and learning about peer marking simultaneously in three buildings while consulting another cohort to answer a quiz was probably the biggest risk we took. It wasn’t a tech risk it was a human one but people believed in the event. Hearing Eurovision style, cross campus cheering as the results of the event came through was big and memorable. Being told by a student that ‘Canvas day was great’ at the airport that evening really brought home to me what tech can do. The whole thing is about people and learning opportunities and tech tools playing a subtle part. Parent visitors touring our building were amazed to see a 3D printer purring away in our teaching room. But more impressive were the nine year olds who explained clearly that they’d created a city and considered the importance of transport and access to the buildings in zone 1. I’m definately doing computing in Senior School! The micro blogging platform has had a mixed press but it’s been the best tool for keeping track of all our experiences. No where is it clearer that we’ve pa led a tremendous amount in than here. Many times I’ve lost track but twitter brings it all flooding back. It’s often the case that tech stays in side and that is wise on many occasions. But when a student takes their iPad on an activity they get a different experience. The opportunity to capture ideas and voice and motion changes the output dramatically. The list is long. Stop motion animation, illustrated games, art vocabulary, all of these have been interesting outside. People came together. They brought the tech and there were transformational experiences that were truly memorable. Roll on next year then. What tech experiences have brought people together for you this year? What are you looking forward to trying next year? Good tech should be about the PE Teacher, the individual, the less tech person- everyone utilizing the tools that make life easier. Post from a colleague about tech and flexibility. What difference has a focus on wellbeing made? Considering well being when making strategic decisions benefits staff and students. I was inspired by this post. This year we have put the wellbeing of staff and children at the centre of our School Improvement Plan. In this short blog post I’ll be talking about our staff wellbeing work. Looking back a few years, I’m sure that I could not have foreseen my classroom over the last few weeks. My key question at the end of the process came from a colleague. So here’s the back story. Our Year 4 classes have become populated with town planners and designers. This culminated two weeks ago with 3D printing. ‘I’ve never done this before,’ I explained to the first group but within a week I’d had a lot more experience. 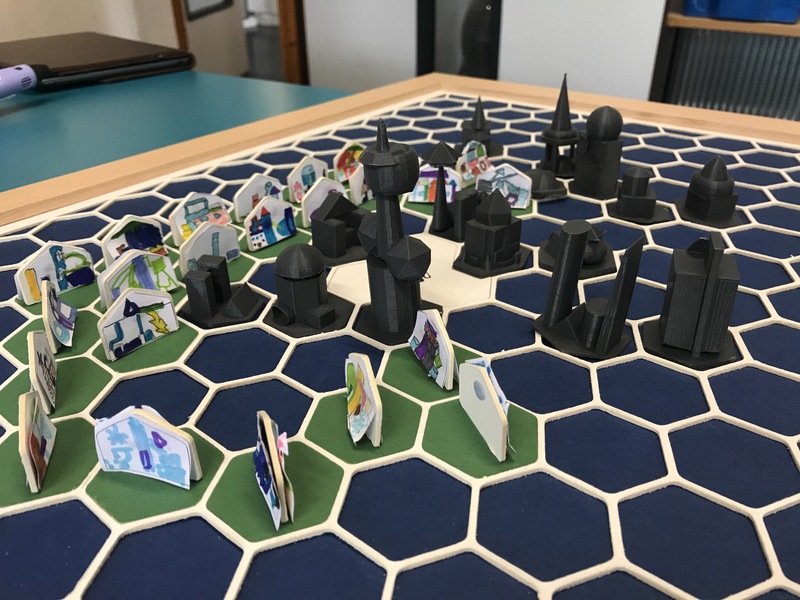 Their project was stimulated by a kit from @kidesign which leads step by step through the stages of planning a city and the vital buildings and services that the children choose. We discussed and justified our choices. So we need a supermarket more than green house? What other structure can be found with policing? No one suggested government. We eventually decided money came from somewhere and that a bank could be useful. Designing a house is a funny business. Many seemed to be very iconic until we discussed other options like roof gardens and swimming pools. Were we copying houses or reinventing them? We reasearched buildings and their uses. Abundant dramatic images fueled everyone’s imagination. It got very exciting. Working with 3D was very hard. Trying to line things up in 2D only to find with a quick rotation that the piece just added was hovering in mid air far beyond the blended base. Trying and failing got quite familiar habits. amidst great excitement, Teacher anxiety levels rose, this was the big moment. And now for the big question? Why do we use 3D printing. For the children it was exciting and different. But when we discussed it we came up with some useful ideas. But I dug deeper. 3D is revolutionizing manufacturing. Where a room full of engineering machines, each with one job and potentially one operator, each do one process in an object, now a 3D printer can create all the parts. It takes less space, different skills and is more accessible. 3D is being used to make buildings, food and prosthetic limbs. For the children holding something they made that is totally unique and their own design was special. Today we photographed the buildings in real settings so that they came to life. Is there a new technological process you’ve explored? Was it risky?or fulfilling? Did the frustrations come good in the end? The children in Year 4 at my school have taken a new role this term. They are city designers. Design a city. Starting off consider the services and facilities a city needs. In each category separate teams argued for and against specific options. When two options in each category had been selected we did some research. What would a swimming pool building look like? Then it was time to design our own accommodation. Think big! There were solar houses with roof gardens and high tech transport options. The design research process for the buildings focussed on zones in the city. It was quickly established that the desalination plant should be near water and the airport should be away from house. While our cinema should be much more central and accessible with public transport. So many thoughtful connections and knowledge was shared. Each element needed information and two dimensional diagrams. The ideas came thick and fast. 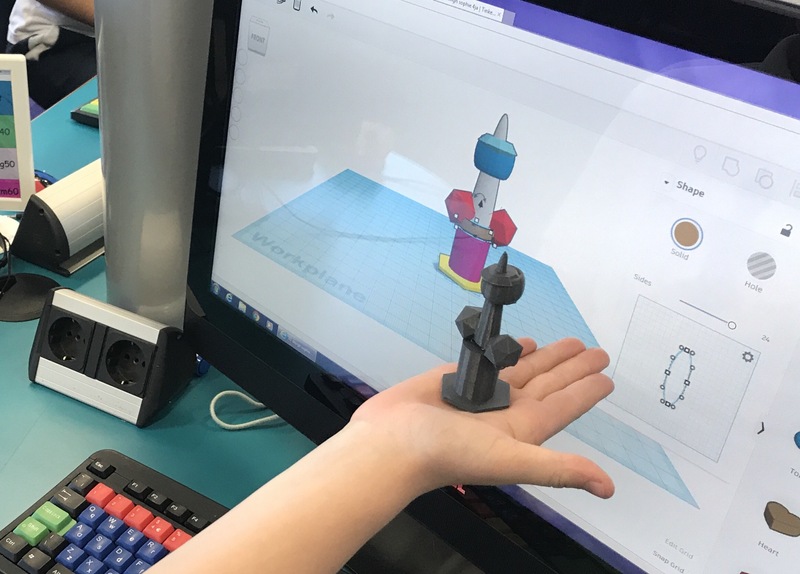 We started transferring the concepts to 3D with Tinkercad, a straightforward online tool. When we work in 3D we have to consider new relationships between object. Are they lined up horizontally and vertically. We learned to group objects that were solid with holes to make arches and doorways. As we reached the next phase. The files had to be converted to .STL format for the Ultimaker printer. We thought about dimensions, overhangs and gaps. Would the structure of our build work in 3D. Some decide they shouldn’t print as success wasn’t guaranteed. A city was born without a name. That’s the next step. To choose one. 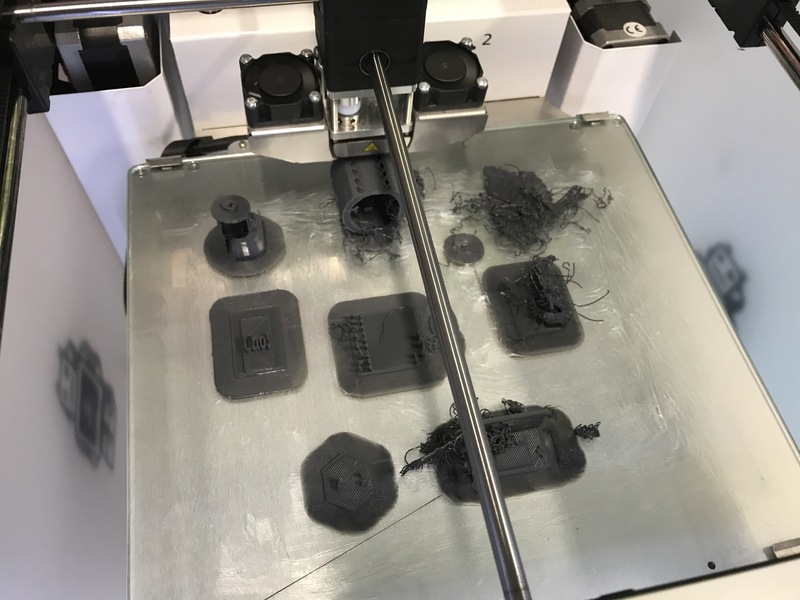 Why do we 3D print? Printing this way is revolutionizing manufacturing. A 3D building has been printed in Amsterdam. The Netherlands is developing 3D printing in many fields from construction to clothing. 3D is also a form being explored in medicine to support prosthetics production. 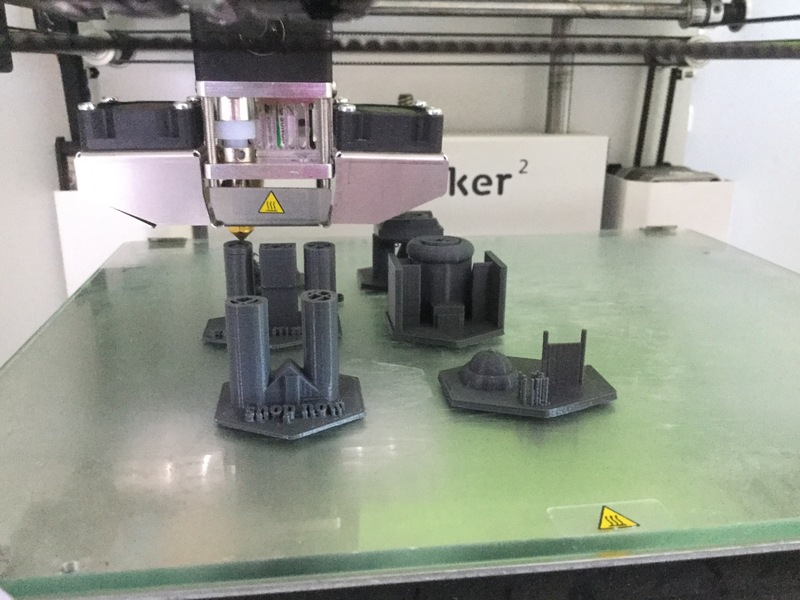 The Dutch city of Venlo is soon to host a conference with a focus on 3D printed food. Who can tell what will be 3D printed in the not too distant future?